Crescendo Music Therapy enhances services and marketability for HOSPICE AGENCIES! Our music therapists assess each client in physical, social, emotional, spiritual and cognitive domains. 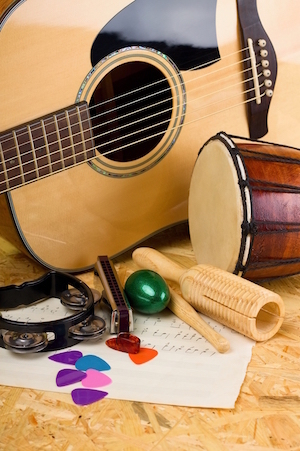 The music therapist sets goals for each session, dictated by the current needs of the patient. We document each session, including goals, interventions used, outcomes reached and any decline. With Crescendo Music Therapy’s help, your patients can utilize the therapeutic benefits of music 24/7. We can provide a personalized listening program for your patients, along with education to patients and caregivers on how get the greatest assistance from music in every-day life. Our therapists take special care to connect with the staff at care facilities. If socialization will serve your patient, we can conduct their sessions in a common room, allowing other residents to enjoy the music. We connect with key facility staff upon each patient assessment, and also provide a written note for every visit to the activity director and/or nursing staff. As a contracted service, we can adjust our services according to your budget needs. Number of clients seen, frequency of visits or attendance at IDT can all be adjusted as your census fluctuates. We’d love to help you make a difference at your agency!